First off, I should come clean--I've only ever read one book by Edith Wharton. That book was Ethan Frome and I read it, well, several years ago in high school. I say this because I went into this book knowing very little about Edith Wharton. I didn't even know what she looked like. By the end of the first quarter or so of this book, I felt as though I knew Edith Wharton intimately. Fields is very skilled when it comes to creating characters and places. Once I finished this book, I looked up pictures of Edith Wharton, Morton Fullerton and Henry James (another writer who I am embarrassed to admit I haven't read!) and their photographs matched the portraits I drew in my head based on Fields's descriptions. Edith was not a likable character--indeed, she was more like a middle aged child--but she was a very realistic character. I understood why she took the actions she did and her every reaction seemed reasonable based on the way she was portrayed in the novel. And, I totally believe that this woman, the Edith Wharton of The Age of Desire would have written Ethan Frome. Despite all this, there was something that troubled me about this book. I could never figure out what it was really about. Was it about Edith's friendship with her secretary, Anna? About her affair with Fullerton? About her coming to terms with her own middle age? The focus of the book tended to shift frequently and, when I finished the story, I still couldn't figure out what path the book was on. Part of this problem was Anna. She was a great character, probably my favorite in the book, but her balance in the book was just off. I think this book would have benefited greatly from either more about Anna or less about her. As it was, she was a character who was very important when she was present, but rather forgotten when she wasn't. 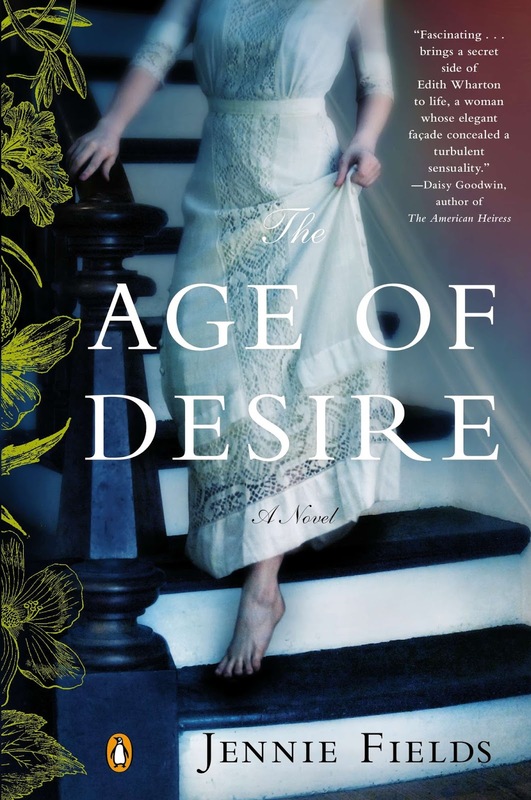 While I didn't find this book wholly satisfying, it is one I would readily recommend to anyone who considers themselves a fan of Edith Wharton, historical fiction or just well-written prose. I was provided a copy of this book by Historical Fiction Virtual Book Tours in return for an honest review. I received no other compensation for this review. You can find the complete schedule for this book tour here. I am not too familiar with Edith Wharton other than by name. I've never read one of her books. I don't know that this one is for me, but I can see the appeal. I do like good writing and historical fiction. I love that you gave credit where it was due but then were able to speak honestly. I don't know the author at all, but always appreciate a good review.